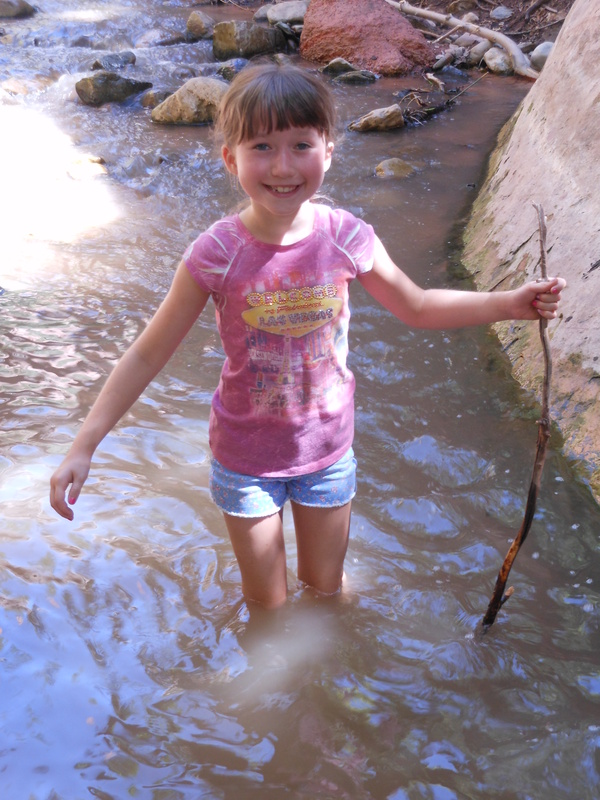 COMMENTARY — What does Utah and my 9-year old daughter Sammie have in common? Water seems to bring out the best in both of them. Last summer my wife, Cheryl, and I took Sammie camping in Zion National Park. As we hiked through the canyon on the many magnificent trails, Sammie would invariably lag behind and claim she was too tired to go any further. Against my better judgment, we decided to try hiking up the narrows. I honestly thought we would get no further than 100 feet up the stream before turning back and beating a hasty retreat to the bus (most likely with my diminutive daughter on my shoulders). Instead, and much to my surprise, Sammie turned into the Energizer Bunny once she hit the water, and ultimately Cheryl and I had to plead with her to turn around and head back to camp. Last Saturday night, I saw a similar scenario play out in a cold rain in Seattle. The Huskies jumped out to an early lead with a field goal. However, in less than ideal and rainy conditions, it was the visiting Utes that made the most of the inclement weather with two consecutive touchdowns to go up 14-3. Utah pushed its lead to 21-6 as the rain pelted the players and soaked the field. The rain let up going into halftime, and so did the Utes. Nevertheless, Utah still took a 24-13 lead into the locker room. In the second half, the rain abated and Washington closed the gap to 24-20, and then 24-23. But then the heavens opened up and as the rain poured down again, the Utes bore down and secured the win with a 34-23 score. The win was noteworthy for a number of reasons other than the conditions in which it was played. The win was Utah’s first win in Husky stadium, first win against Washington since joining the Pac-12, and in fact was the first win against the Huskies ever (having previously gone 0-8 dating back to 1931). It was also the first time the Utes had ever beaten Washington coach Chris Peterson (having previously lost to him twice as coach of the Boise State Broncos). Travis Wilson has now won 22 games as a starter, one better than Fiesta Bowl standout Alex Smith. Only Sugar Bowl winner Brian Johnson has more wins with 26. With three games left in the regular season and a guaranteed bowl bid, Wilson still has a chance to catch Johnson (and potentially overtake him if Utah also plays in the Pac-12 Championship game). Devontae Booker’s 150 yards rushing pushed him well over the 1,000 yard mark for the year, giving him back-to-back 1,000-yard seasons (with a lot of football still left to play before he is through). Only two other players have had multiple 1,000-yard seasons in Utah’s history —Eddie Johnson (1984 and 1986) and John White (2011 and 2012), but Booker is the only one to do so in a shortened 2-year career. 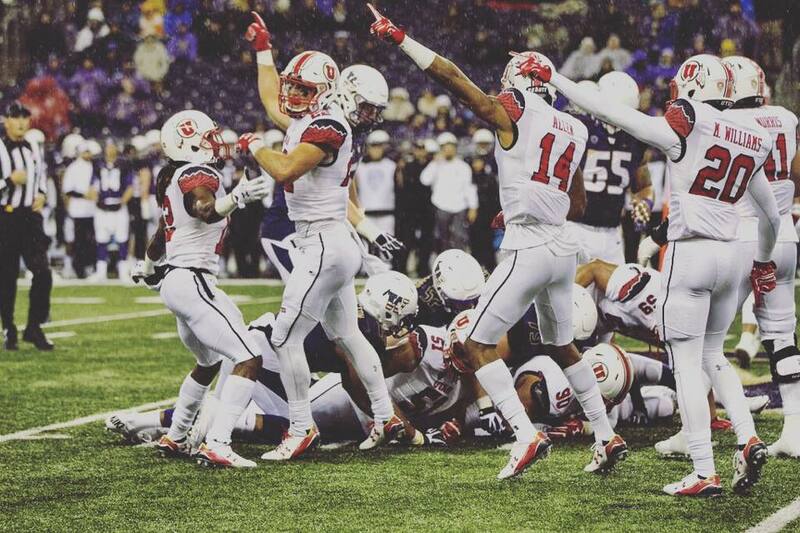 I will be the first to admit that the Utes did not necessarily look dominant against the Huskies last Saturday. Washington had two touchdowns called back on penalties, and had to settle for field goals each time for an eight-point swing on those two drives alone. However, what matters most is that Utah found a way to win and for the eighth time in nine tries, they walked off the field with the W.
In a year of real parity among college football teams nationwide, it is interesting to see how the rest of the country views the Utes. The AP writers currently have Utah at No. 10, having leapfrogged over Michigan State, TCU and Florida. The coaches moved the Utes up a single spot to 13 ahead of Michigan State. The college playoff rankings are really the only ones that matter, and they won’t be updated until Tuesday, but last week Utah was already at No. 12, right behind Stanford and Florida. The Gators are a good measure of how the Utes are viewed by the nation. Like Utah, Florida is 8-1, with its only loss coming on the road to a very good LSU team. The Gators have already clinched the SEC East title and a berth in the SEC Championship game. 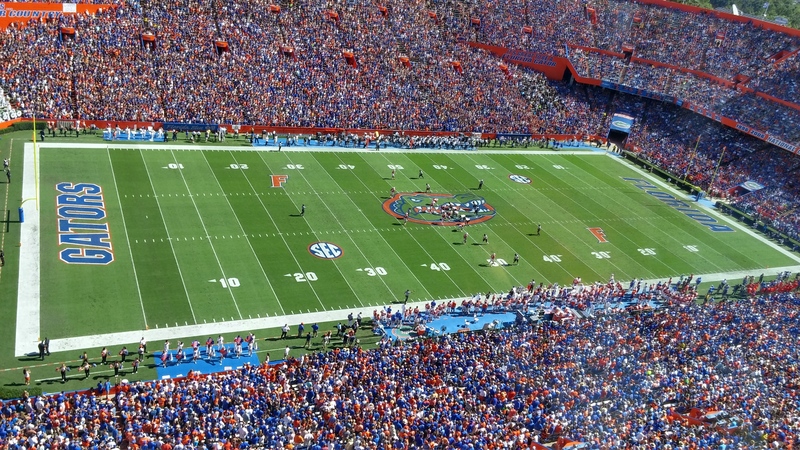 I sat in The Swamp in Gainesville and watched Florida play with my own two eyes last Saturday. The Gators did win, but it took a field goal with 3:15 left to play to secure a 9-7 victory at home over a very mediocre 3-6 Vanderbilt team. I know I cannot even attempt to be objective in making this statement, but I think if Utah played Florida tomorrow, the Utes would win (especially if the game was played in the rain). Apparently, I am not the only one with such a view as the AP writers moved Utah ahead of Florida in the polls even though both teams won last weekend. At this point, all the Utes can do is continue to beat the teams on their schedule. Next up is another road game against Arizona. The Wildcats may be out of the hunt for the Pac-12 championship with a 2-5 conference record, but at 5-5 overall they are battling to become bowl eligible and play the role of spoiler in the process. Last weekend, Arizona gave USC all it could handle in The Coliseum, narrowly missing an upset of the Trojans after leading the entire first half. The Wildcats only have two games left on their schedule — Utah this week at home, followed by an emotional road game against rival Arizona State to end the season. Arizona knows it has to win one of those games in order to be bowl eligible. You can bet your britches that the Wildcats will be very motivated to secure their much-needed sixth win against the Utes this weekend. Here’s hoping Utah will keep the dream alive with another win over Arizona on Saturday.